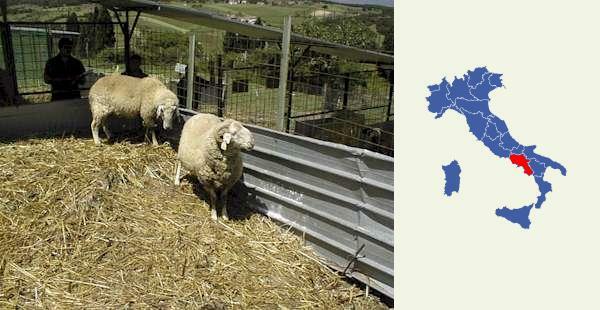 The Quadrella is a meat and dairy breed which was formerly a variety of Gentile di Puglia (with blod of Laticauda and Appenninica). The are found in the region surrounding Campania, southern Italy (Avellino and Benevento provinces). Both horned and naturally hornless animals are found.